Have a HVAC service professional inspect your unit. Your blower and motor, coolant level, switches and thermostat will be checked. Make sure the compressor coils are cleaned. It’s a good time to change the filter too. Check water runoff from house to make sure it isn’t pooling anywhere within 6-10 feet of the house. 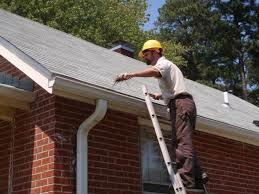 Clean and inspect gutters to make sure their connections are intact. Pressure wash deck, patio, driveways and sidewalks. Decks may need to be stained every other year. Have your dryer vent cleaned if you can’t remember the last time you did it. Clogged dryer vents can cause house fires. Check moisture levels in your basement. Is your dehumidifier in good working order? Did you burn wood in your fireplace this winter? It may be time to have your chimney cleaned. Clean patio furniture and grill. Need a little help implementing your maintenance plan? Email me at lesa.bell@harrynorman.com for contact information of trusted vendors.